Notes from Ladysmock Cottage: Radishes. A great way to serve radishes as a snack or a starter with unsalted butter, salt and a tarragon dressing. You need radishes with the leaves attached as fresh as possible. 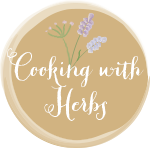 For the tarragon dressing finely chop a small bunch of tarragon and mix with 3/4 extra virgin olive oil to 1/4 white wine vingar, a pinch of salt, a grind of pepper and a pinch of sugar. Clean the radishes and trim off the root. Pull off the tough, larger outer leaves. Pull the leaves off a radish and place on a small plate. Smear the radish with a little butter, dip into the salt and eat. This gives the peppery radishes a lovely salty, creamy texture. When you have eaten all the radishes dress the leaves with the tarragon dressing and eat as a salad. Some people find the leaves a little on the bitter side so you could sweeten the dressing more with a little honey or a mix of honey and mustard. Alternatively you could use the leaves in a radish and potato soup. Many thanks for all your kind comments again Karen - I picked up on this way of eating radish from Nose to Tail Eating by Fergus Henderson. Radishes are one of my favorite things! Asparagus, Pea and Mint Salad. Honey and Mustard Glazed Pork. Asparagus, Pea and Mint Risotto.